Why Choose Our Banbury Lodge Alcohol Rehab Clinic? Are you or a loved one abusing, dependent or addicted to alcohol and want to discuss detox and rehab? If so, Banbury Lodge in Oxfordshire is dedicated to helping you achieve a permanent alcohol-free life. Furthermore, our 160 nationwide beds & rehabs are best-in-class, CQC regulated, and we have a range of multi-cost options to suit your budget, with free lifetime aftercare as standard. For more information about our residential treatment facility, treatment costs & locations, please call us on 0203 553 3757 or talk privately with our addiction counsellors on LIVE Chat! We have become the leading authority on alcohol rehabilitation in Oxfordshire. In our leading clinic in Banbury, we get to the root of your addiction which is the root of you and how you feel about yourself and perceive your self in the wider world. One-to-one therapy allows you to “let it all out”, then with the identification of group therapy breaks the feeling of isolation and being “the only alcoholic in the world”. On top of this, we offer free family therapy for wives, husbands, sons and daughters or significant others in order to help heal strained, even broken relationships as we recognise that lifelong recovery is built around a sound and secure self but also the wider family network. And finally, when you are re-integrated back into society and normal day to day living, Banbury Lodge still support you with our life-long sober support and social network platform Alumni – Call for more details about our alcohol detox and rehab admissions process! Our team of experienced and dedicated counsellors, psychotherapists, consulting psychiatrists and medical doctors and support staff are well equipped to help you with understand and overcome addiction but also to help you develop into a better version of you. During the medical detox process, patients are prescribed an approved medication to manage the symptoms of alcohol withdrawal. The process is tailored to the individual in order to negate the effects of fitting, vomiting, tremors etc… until the client is alcohol-free. The treatment is clinically proven to be the safest way to remove alcohol from the body. You will receive 24/7 medical care and support and the detox will take between 7 to 10 days. Call us and we will walk you through our alcohol detox process! Banbury Lodge provides effective treatment for the complex illness of addiction and acknowledges the unique requirements of each person. We understand that leaving rehab and having to face the reality of day-to-day life can be an extremely daunting thought. While you may be determined to continue living a sober life, external triggers and temptations exist and dealing with these alone can leave you feeling isolated. To support you during this vital time, we have created a two-tier approach to long-term sobriety. We provide one year’s worth of free aftercare support sessions every week in the rehab you attended (or nearest clinic). Here you will engage with a group based therapeutic approach, with loved ones in attendance (if you so wish) but with the opportunity to speak with a counsellor one-to-one. 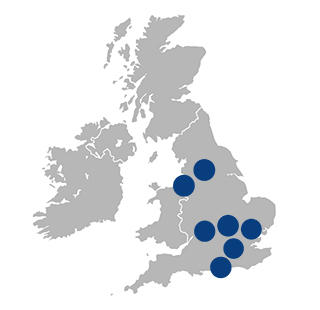 UKAT have built the UK’s first recovery network for all those who have attended one of our treatment facility. This lifelong recovery network is called Alumni – a gateway to lifelong sober companionship. Events include Christmas parties, dinners, adventure days out and, of course, summer BBQs. This is the future of permanent recovery, and we are proud to be the first rehab family in the UK to offer it. Many people fear that putting down alcohol means losing their social life. At UKAT we say it’s only just begun! Please call to hear more about rehab, recovery and lifelong freedom from addiction. If you have any questions regarding our rehab clinics, lifetime aftercare, treatment needs, locations and cost – we can answer them!